Whether you are looking to hire new employees or looking for ways to train your existing workforce, Sacramento Works can help. Our Job Centers provide a variety of services to facilitate your business’ recruitment and training needs.Sacramento Works is your answer for creating a better workforce. We can help you recruit new employees, develop your current employees’ workforce skills, and improve your business. All of Sacramento Works’ services are free. Join the hundreds of companies using Sacramento Works and make Sacramento Works your workforce resource. Through its network of Job Centers, Sacramento Works can help you find a rewarding employment opportunity. Each Center provides you with the tools and training necessary to find the type of job you are looking for. Let Sacramento Works help you get started on a successful career path. If you are a businessperson looking to hire new employees or searching for ways to train your existing workforce, Sacramento Works can help. Through our Job Center network, you can access a variety of services to facilitate your business’ recruitment and training needs. All of Sacramento Works’ services are free. Join thousands of job seekers and the hundreds of companies using Sacramento Works and make Sacramento Works your workforce resource. 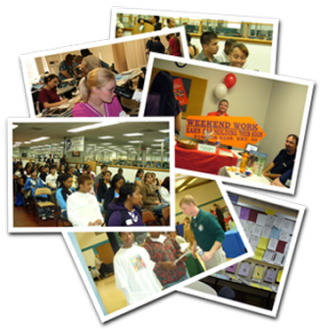 Youth Services are delivered collaboratively in the Sacramento Works Job Center system. Staff at each Job Center help youth access employment and training resources.